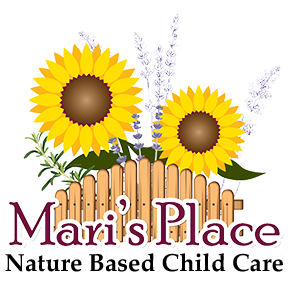 Mari’s Place is a state-certified childcare center providing structure and fun while offering professional and safe child care. Mari’s Place supports both parents and children by offering a stable, predictable, nurturing environment with a variety of age-appropriate activities. Class curriculum is designed to meet the unique needs of homeless or highly transient families and to assist families in their journey toward stability and the creation of a healthy family system. The center is “nature-based,” with an emphasis on getting children outdoors and bringing nature indoors. The kids do arts and crafts projects using materials found in nature, the classrooms are decorated with neutral colors, and whenever possible, the furniture and toys are wooden, rather than the plastic and metal furniture found in many preschools. This nature-based philosophy is calming and therapeutic, but, since many of our children don’t have backyards of their own to play in, it’s also just plain fun. For more information contact Bonnie Stutzman at (541) 243-8037. We are always looking for more volunteers, and thank you for taking the time to fill out an application. Imagine you are a single parent raising an adorable 4 year old boy. You have a decent job and make $2 above minimum wage, so after taxes you bring home about $1,900/month. You’ve managed to get a good deal on a 2 bedroom, 1 bath apartment for $900/month, and you are close to a bus line, so you don’t need a car. Let’s say you spend $200/month on utilities and $350/month for groceries and clothes. Are you making ends meet? Nope, not even close. All of the above depends on you having a place for your son to go while you’re at work. You have $450 left each month and the average cost of childcare in Linn County is about $660/month. 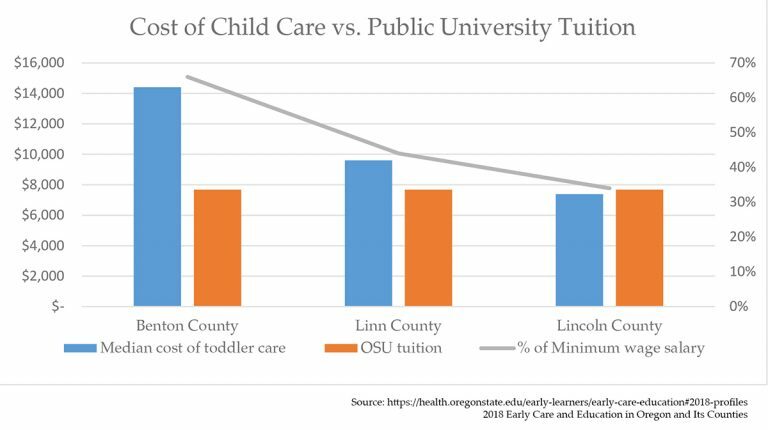 In Benton County, it’s $1,000/month – in fact, it’s cheaper to send your kid to OSU than to preschool in our area. For many people in Linn and Benton counties, the cost of childcare is a hidden budget-buster.